Although I recently constructed a micro-grinder and -sander, I found that some hand-sanding device would be desirable for very delicate operations. Sometimes just a few strokes would be sufficient and the process would be difficult to control with a motor-driven machine. 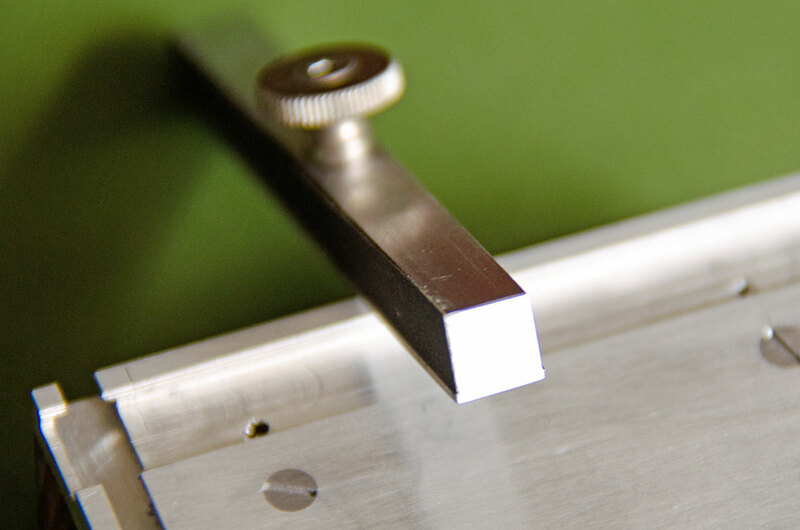 A guided sanding block allows to achieve flat and square edges. 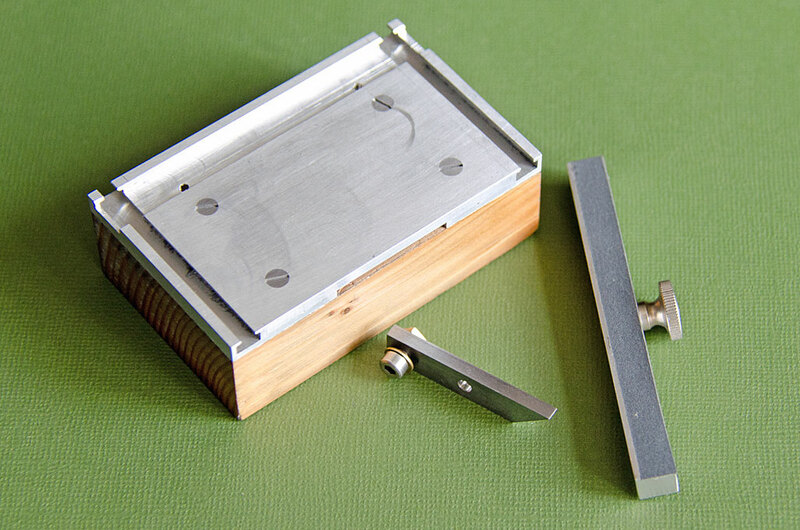 After some rummaging in my collected stocks I found a piece of aluminium rail with a T-slot at one end (I don't remember its original purpose), a piece of thick aluminium sheet, some square aluminium stock, and a well-seasoned piece of pinewood of just the right dimensions (5 cm x 8 cm x 2 cm). Holes were marked out, drilled and countersunk for the pieces to be screwed down onto the wooden block. 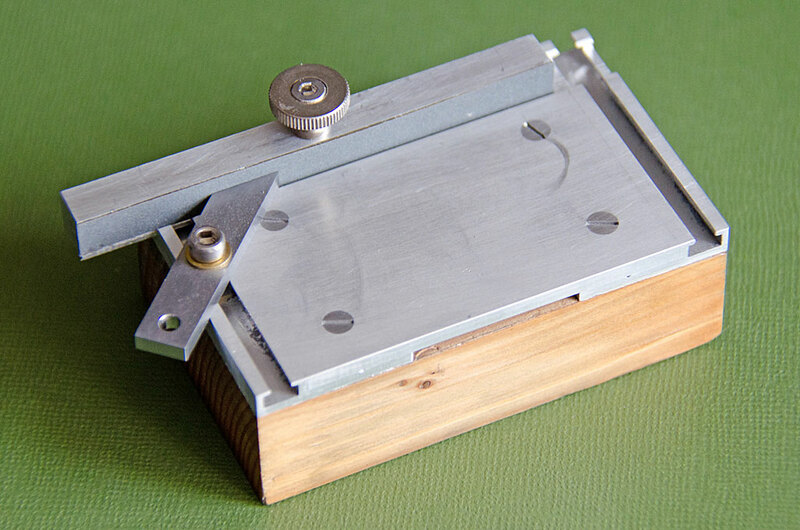 The four sides of the wooden block were squared off in the milling machine with the aluminium pieces in place. 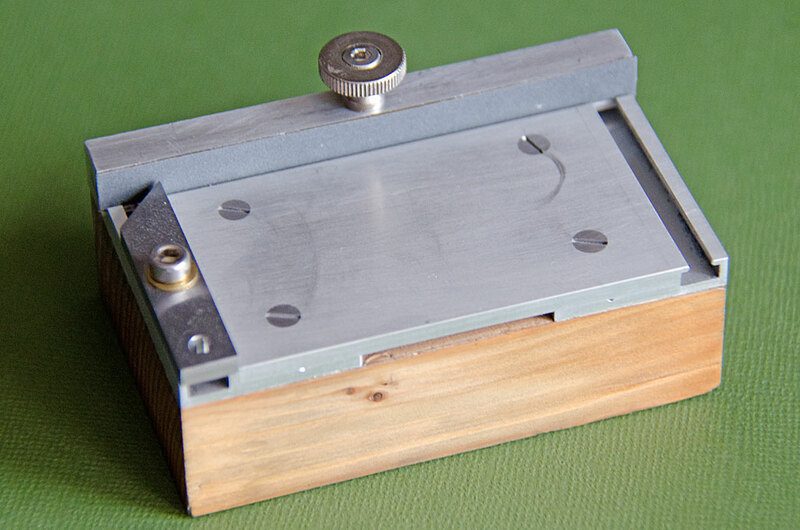 The wooden block then was carefully levelled in the machine-vise and a slot milled into the aluminium as a guide for the sanding block. Finally the surface was evened with some light cuts with a fly-cutter. A mitre-guide was fashioned from a piece of flat steel. It can be mounted left or right and in different configurations. 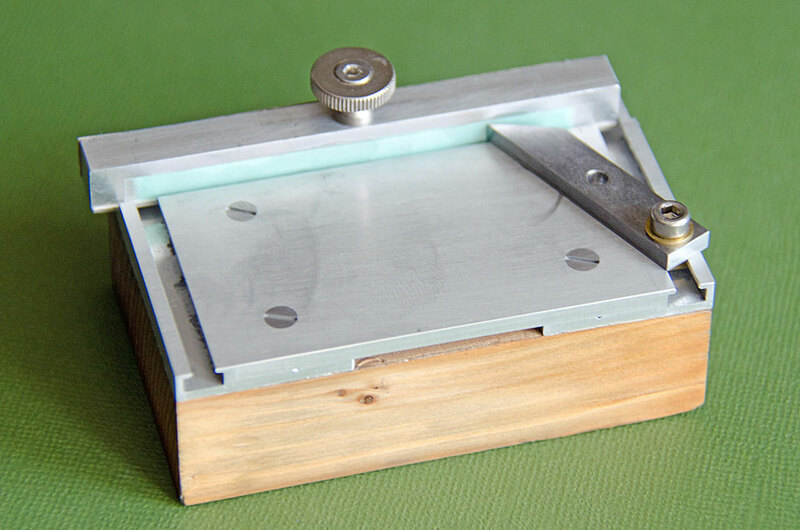 The sanding block is fashioned from some 8 mm x 8 mm square aluminium stock. It has shallow recesses milled into both sides to allow for the thickness of the sanding paper. A knurled screw M3 serves as handle. to begin with a glued a strip of 600 grit wet-'n'-dry paper onto one side and a strip of plastic coated with abrasives as used by dentists for grinding and polishing teeth onto the other side.